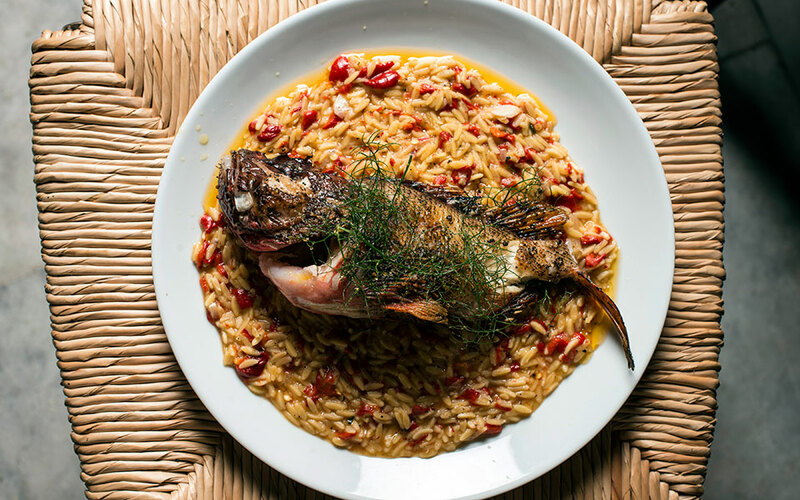 With influences from Asia Minor and its own rich seas, this island group serves up some of Greece’s most exotic dishes. The island group of the northern Aegean, consisting of nine larger islands and as many smaller ones, is scattered across the meeting point between Europe and Asia: Lesvos, Chios, Samos, Limnos, Ikaria, Fourni, Oinousses, Psara, Samothrace, Aghios Efstratios and more. Some are more fertile than others. Limnos features granaries and endless pastureland, others have sand dunes and vast meadows, and some, such as Lesvos, stand out for their diverse terrain, with olive groves that stretch as far as the eye can see, and mountains that reach as high as 1,000m above sea level. 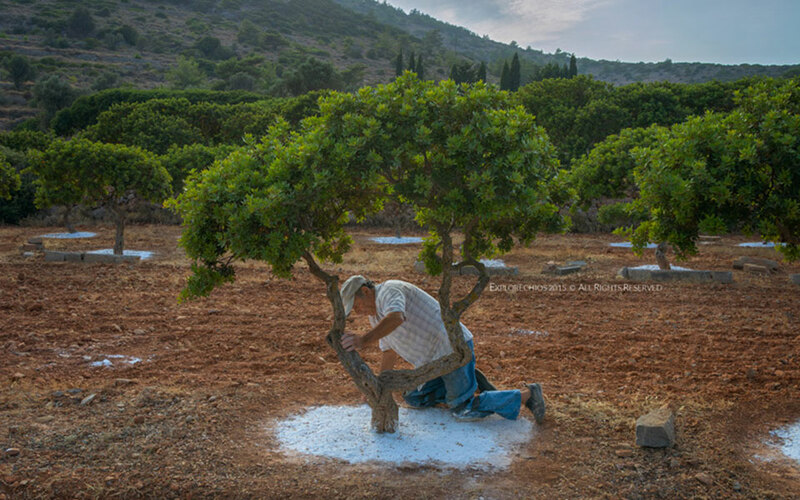 On Chios, the plains are redolent with the scent of citrus trees; this island is also where the mastic trees thrive, with their precious “teardrops” of resin, which is used to produce everything from chewing gum to essential oils. Hedges and shrubs, thyme and fig trees are characteristic of Psara, while Samos features dense vegetation, woods with fruit trees and plane trees, as well as vast vineyards. On Limnos, the locals breed rabbits, keep flocks of sheep and goats, and a few cattle. On Lesvos, they produce several varieties of ouzo and fragrant wines. The waters of the northern Aegean supply plentiful fish and seafood, with firm, delicious flesh. The local cuisine evinces the influence of Asia Minor and Constantinople. The cooking styles of the Near East and oriental aromas add flavor to the culinary traditions of the islands. Their dishes are usually cooked in a pot or frying pan, and there is a long tradition in the preparation of salted meats and homemade conserves, and handmade pasta, bread and rusks. One of the most prevalent vegetables on Samos, Limnos and Lesvos is the eggplant, cooked with fresh tomatoes or in a tomato sauce, which balance out its sweetness. During religious festivals on Samos and Lesvos, they cook the keseki (or “feast”), which is lamb or kid-goat meat on the bone, cooked with onions and cracked wheat in cauldrons that simmer for hours over a fire. The thickened stew is distributed to all who are present at the service in honor of the saint being celebrated each time. Even meze and savory treats here are more lavish, less casual, and more time and effort intensive in their preparation, demonstrating the dexterity of the home cook. The most common are dolmas: stuffed vine or cabbage leaves, onions or zucchini flowers. The most usual filling is rice with flavored with herbs and spices; cumin, nutmeg and cinnamon are rarely absent from any meal. The desserts are mostly prepared with some type of dough. On Lesvos, they prepare baklava with many layers of filo pastry and a filling of almonds, as well as platsenta – a sweet treat made using pastry sheets drenched with ouzo-infused syrup. Honey dumplings with local honey and cinnamon are served at the cafés and during local fairs on Ikaria and Samos. Lesvos and Limnos produce several types of outstanding protected designation of origin (PDO) feta. In Lesvos, which has a long tradition in cheesemaking, do absolutely try ladotyri, a cheese that matures in olive oil and acquires over time a more pronounced sharpness and spicy flavor. 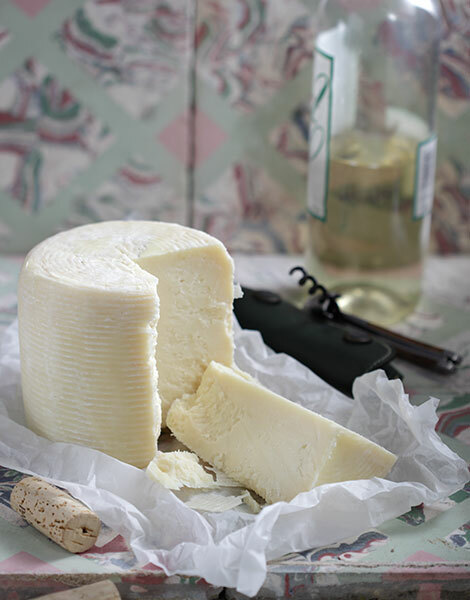 On Limnos, taste kalathaki, a white, mildly acidic, full-fat cheese, that takes its shape and name from the little baskets in which it is strained and matured. In Samos, the island’s only cheesemaking dairy produces armogalo, a white, mildly acidic and spreadable cheese made of goat’s milk. Ikaria’s anamatomelo (“heather honey”) has a truly remarkable flavor, while Lesvos olive oil is light and fragrant. 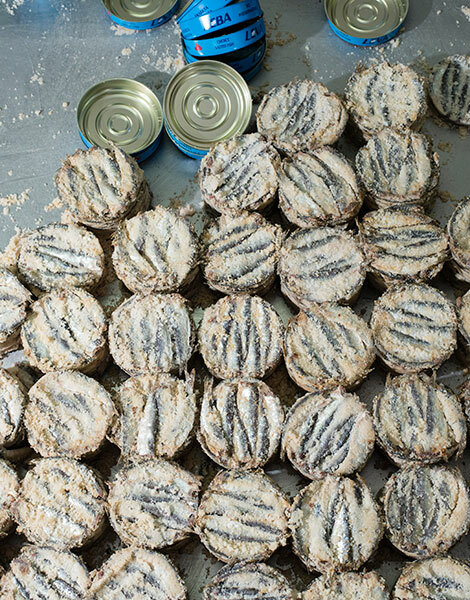 You must not, of course, fail to taste the PDO Mastic of Chios, which is unique in the world, nor the island’s fragrant clementines, which enjoy protected geographical indication (PGI) status. Definitely try the lobsters of Psara and Fourni, the sardines (papalines) of Lesvos from the Kalloni region, and plenty of fish on Limnos. The sweet dessert wines of Samos and Limnos are world-renowned, made from Muscat and Muscat of Alexandria grapes, varieties that are widely cultivated on both islands. As for the several types of ouzo from Lesvos, they are famed to the ends of the Earth. Fried zucchini flowers, stuffed with local cheeses and spearmint, are a meze not to be missed. Seaside tavernas and traditional cafés of the islands serve salt-dried sardines and sun-dried seafood on the grill, or even stuffed squid and pickled bonito (lakerda). 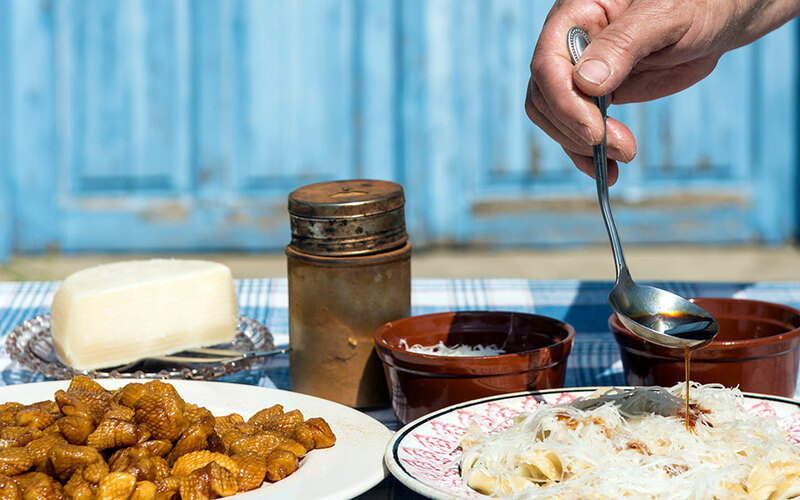 On Limnos, try the local, handmade pasta called flomaria, served with plenty of grated cheese, and on Ikaria seek out the sofiko, a local dish made of layered summer vegetables. 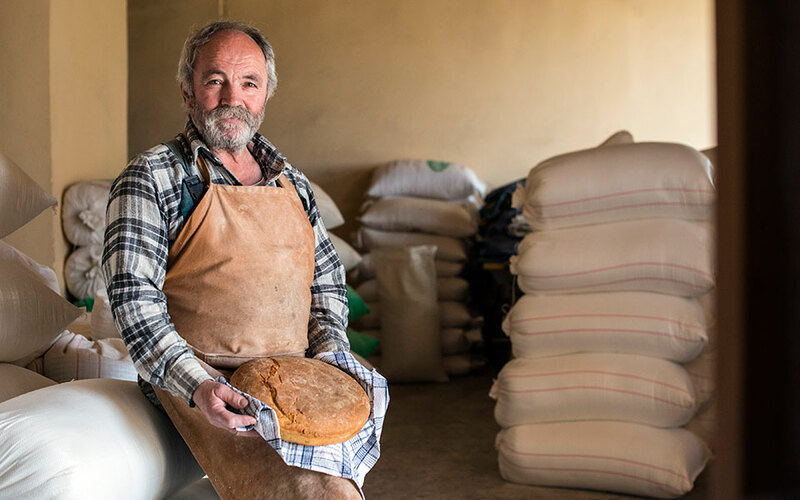 Go to Vafios in Lesvos (tel +30 22530.717.52) for sougania (stuffed onions), sfougato (zucchini tart) and oven-roasted lamb stuffed with rice, raisins and orange – all local ingredients, some of which are the owner’s own produce. At Platanos, one of the most ancient villages of Samos, you will find Orizontas (tel +30 22730.394.57), a restaurant that follows traditional recipes, such as zucchini flowers stuffed with rice, and serves local bottled wine. The view is staggering. Ennia Po’chs (tel +30 22540.717.42) is living proof that the culinary tradition of Limnos remains alive precisely because its recipes are still used every day. Only local ingredients are used. These beautiful islands, in close proximity to Turkey in the northeastern Aegean, are responsible for only a small percentage of total Greek wine production. Nonetheless, they represent a profound history and tradition in viticulture and winemaking. One of the most sought-after wines of antiquity, the famous red Pramnios Oinos, was produced on the island of Ikaria. With their own grape varieties, styles and traditions, these islands add to the complexity of the contemporary Greek wine scene. On Lesvos, for example, where wine production is limited and ouzo is the king of all alcohol-related products, it’s certainly worth trying a chilled glass of Chidiriotiko. This is a singular grape variety grown in the island’s volcanic soil, displaying a peppery, mineral character and boasting aromas of wild cherries. It is produced exclusively by a single winemaker, Methymnaeos. How better to spoil your oenophile friends? The true wine leaders among these islands are Limnos and Samos, both globally renowned for their luscious dessert wines. Limnos in fact produces both admirable dry and sweet PDO wines, using the red Limnio and the white Muscat of Alexandria, grown in its volcanic, mineral-rich soils. Chatzigeorgiou is a leading player producing, among other wines, an excellent Asti-like frothy Muscat with a dollop of residual sugar. Nowadays, Samos is synonymous with sweet Greek wine. It is the largest winemaking area in the northern Aegean and one of the most impressive in the country, with vineyards extending from the coast to mountainous terraces. On Mt Ambelos, these may reach elevations of nearly 1,000m. 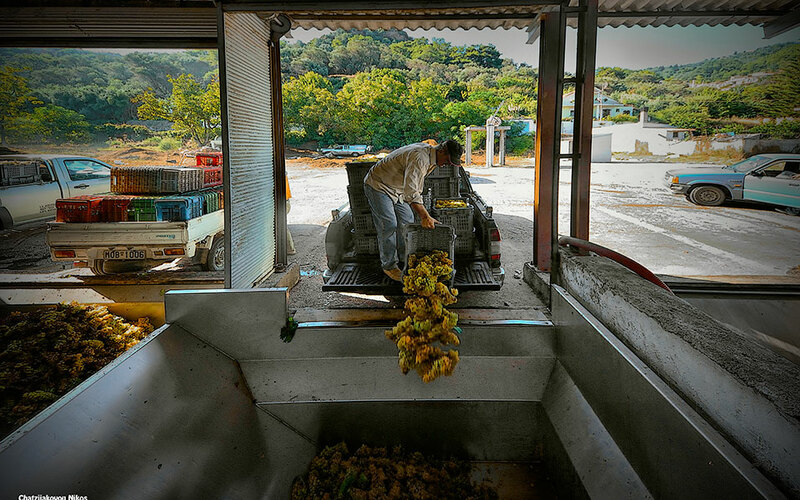 White Muscat accounts for almost 95 percent of the total production. The local cooperative, the largest wine producer, has been recently joined by new enterprises including Nopera and Vakakis. The islands of Ikaria and Chios are less prominent in the world of wine but efforts are afoot to revive the industry on both islands; this includes the continuing work of Afianes Wines on Ikaria, where this innovative winery ferments wines in clay pots buried underground, a must-try for all natural wine lovers.